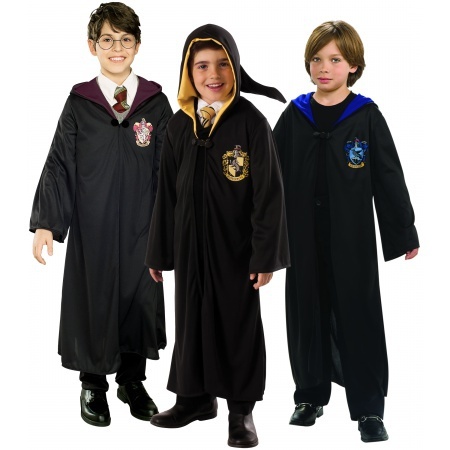 This child size Harry Potter costume robe includes one Hogwarts robe with printed house crest. Choose your Hogwarts robe from Griffendor, Ravenclaw or Hufflepuff. 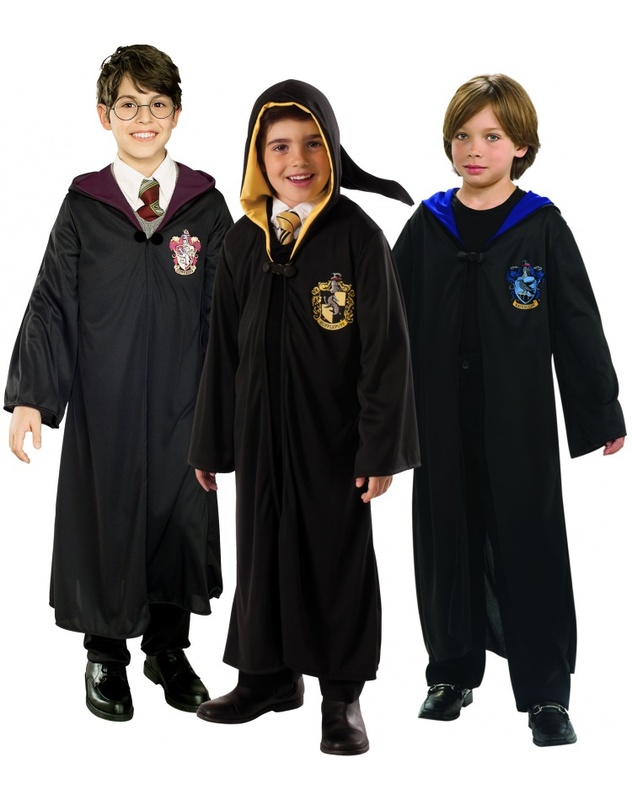 The kids Hogwarts robe comes in child sizes Medium, Small, Large. This kids Hogwarts robe is an officially licensed Harry Potter costume. Harry Potter glasses and tie are sold separately. The shirt and pants are not included.